Under Stars is the final part in the band's 'astronaut trilogy’ - 2 LP in gatefold sleeve plus CD! 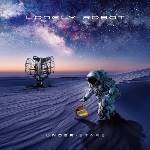 More information: Under Stars is the final part in Lonely Robot's 'astronaut trilogy’. Musically, the album expands upon its two predecessors and finds a balance between heavy edges and lush choruses (which have been John Mitchell’s trademark since day one). Mitchell says, “This time I wanted to reference my love of 1980s synthwave pop a little more, so beware the 808!”, Mitchell proclaims. “I hope you enjoy this record as much as I enjoyed making it”. Under Stars ends the story of Lonely Robot on a high note. Double 180g vinyl in gatefold with CD.